Nine weeks and one game into the 2013 season and we are seeing some very interesting trends, numbers-wise. The common philosophy for many years when it comes to drafting your fantasy team is to get your running backs early. At the very least, they are your touchdown producers and your leaders in total yards from scrimmage. But consider this. There have been 134 games played so far this season and only 46 times have we seen a player rush for 100 or more yards, including quarterbacks. Over the same span, there have already been 124 performances of 100 or more receiving yards. The league record for a season is 192, set in both 2011 and 2012. And has anyone noticed who is reaching the end zone consistently this season? A total of 15 players have scored seven or more touchdowns this season.Vikings running back Adrian Peterson and Saints tight end Jimmy Graham are tied for the NFL lead with 10 touchdowns. But a breakdown by position shows that wide receivers (6) and running backs (6) are the leading positions when it comes to those players with seven or more scores. Three tight ends reaching that goal as well. Anyone know the last time a player other than a running back led the league in touchdowns scored? It was Patriots wide receiver Randy Moss in 2007, when he snared 23 touchdown receptions. Before that, you have to go back 20 years from now in 1993, when Hall of Famer Jerry Rice led the league with 16 touchdowns. But let’s go back to those aforementioned 15 players. Of the six running backs on the list, only San Francisco's Frank Gore and Chicago's Matt Forte have scored all of their touchdowns on the ground. Peterson, Kansas City’s Jamaal Charles, Seattle’s Marshawn Lynch, and Denver’s Knowshon Moreno have all found the end zone at least once this season through the air. So will this be the trend the rest of the year as we approach the stretch run of most fantasy league’s regular-seasons? Only time will tell...or a good Ouija Board. Russell Baxter helps you double check your team just like your State Farm agent can help you double check for discounts up to 40% on auto insurance. See how that works? 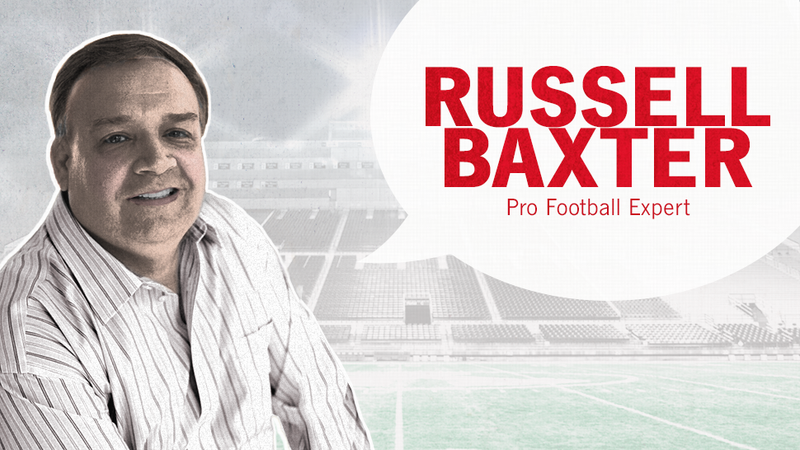 Russel Baxter can be found at his website www.ProFootballGuru.com and on Twitter at @BaxFootballGuru. He is a member of the Pro Football Writers of America and a voter for the Maxwell Club and belongs to the Pro Football Researchers Association. You can also track him down on his Pro Football Guru Facebook page or via email at russell AT profootballguru DOT com.